The word ‘breathtaking’ is bandied about a lot, but when was the last time a film truly had the power to leave its audience gasping for air, pinned to their seats, sick and dizzy? 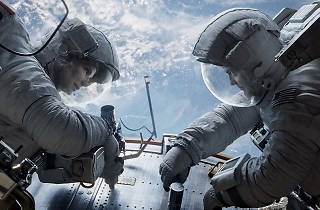 In ‘Gravity’, Sandra Bullock and George Clooney play nervous newbie astronaut Dr Ryan Stone and seasoned pro Matt Kowalsky, whose work on the Hubble Space Telescope is violently interrupted by a catastrophic debris collision. Cut off from ground communications and drifting in space, their only hope lies in making it to the International Space Station before Stone’s air supply runs out. Mexican director Alfonso Cuarón already displayed the depths of his skill with ‘Harry Potter and the Prisoner of Azkaban’ and ‘Children of Men’: think of the eight-minute shakycam battle scene in the latter, as he zoomed from bloody close-up to hectic overview without breaking the shot. But nothing he has done before comes close to matching the astonishing beauty, force and originality of ‘Gravity’. This isn’t just the best-looking film of the year, it’s one of the most awe-inspiring achievements in the history of special-effects cinema. So it’s a shame that – as is so often the case with groundbreaking effects movies – the emotional content can’t quite compete with the visual. The first half is close to flawless. Like the astronauts, Cuarón’s ‘camera’ is completely untethered, allowing for astonishing feats of cinematic dexterity: as Stone spirals off into deep space, spinning uncontrollably, we overtake and travel inside her helmet, her breath the only thing we can hear, her panicked gaze becoming the camera’s view. The effect is nauseating, but gloriously so. But then reality intrudes, and the film loses pace. Played lightly, Stone’s tragic backstory would have been a powerful emotional kicker. 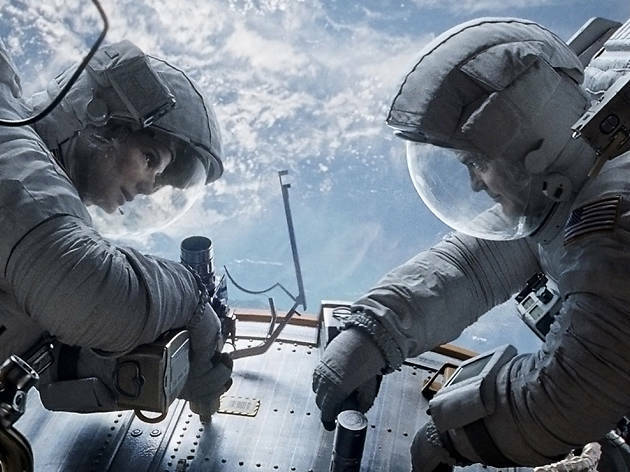 Yet as ‘Gravity’ nears its conclusion, honest sentiment is replaced by weepy mawkishness. Ironically, the effect is to push us away from the characters, and out of the flawless, all-encompassing imaginative space that Cuarón has so painstakingly created. Still, despite these flaws, ‘Gravity’ is cinema in its very purest, boldest form, and it’ll leave you weak at the knees.